I was really looking forward too seeing this movie as it has been advertised as a must-see movie for people that love movies about nature. 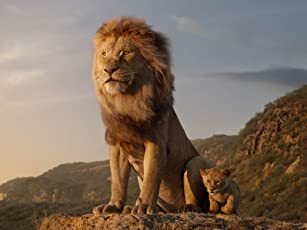 The movie shows different climates and the animals associated with them by starting at the North Pole and going down south as the movie progresses. The footage from this movie is often breathtakingly beautiful and I many times wondered how on Earth they could have taken some of the shots under water or in the sky. 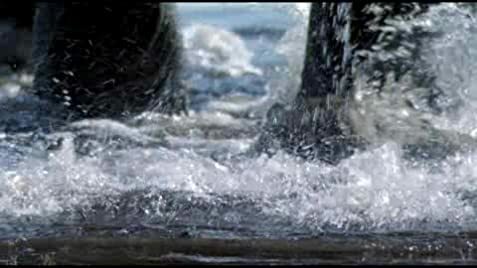 However beautiful, a large part of the footage I had already seen in the TV series 'Planet Earth', narrated by David Attenborough. I found Attenborough's narration of Planet Earth to be much better than the narration of Earth. 'Earth' is an easier movie. It skips much of the scientific detail that Attenborough covers in his 'Planet Earth' series. For instance, Earth will tell you that a tropical sea is an ideal nursery for a young humpback whale, because there are few predators. Planet Earth will tell you that a tropical sea is a good nursery, because the water is low in oxygen and doesn't contain enough nutrients to support very large animals, like large sharks, etc. To me, that's an important difference. That, together with Attanborough's far superior voice make Planet Earth a far better documentary than Earth. 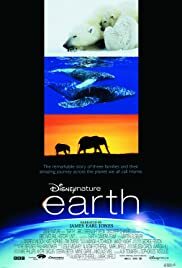 Still, however, I think Earth is worth watching for the beautiful footage and the fact that it's easier to understand makes it interesting for children too.